Finance/Board Meetings are held the 3rd Wednesday of every month, September-May. All members are welcome to join. Today is a Finance and Board Meeting. Please note: after hitting the register button above and then confirming your reservation, you will receive an e-mail confirmation. If you do not receive an e-mail confirmation, you are not registered. Please try again, ensuring that you have filled out all information required. 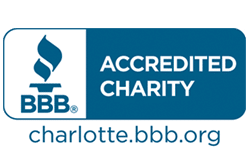 If you still have problems, please contact Healthy Charlotte Alliance at contact@healthycharlottealliance.org. Thank you. We are looking forward to seeing you at the event!